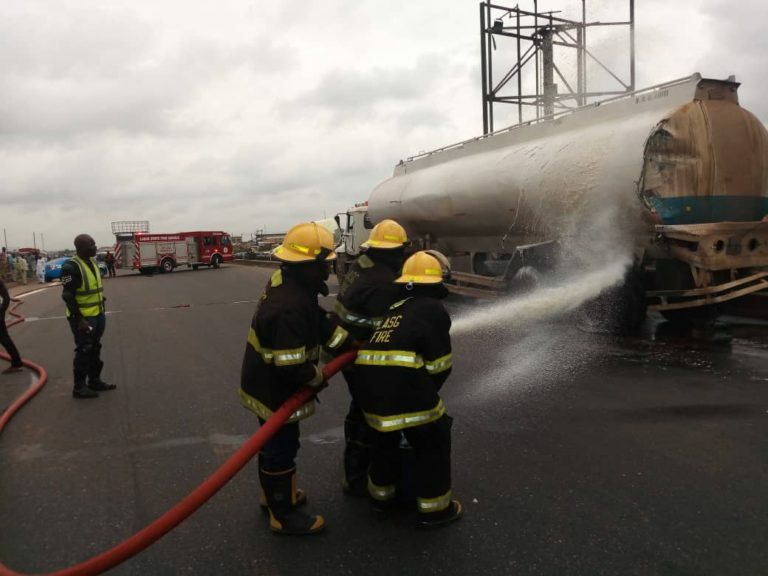 A fuel tanker has spilled its aftermath on the Long Bridge after the popular Kara market on Lagos Ibadan expressway. 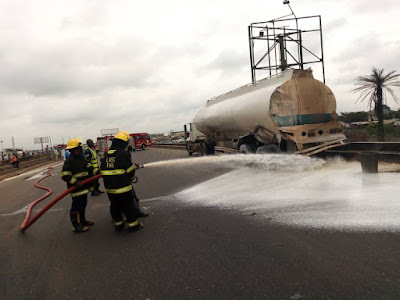 This has caused heavy traffic on the popular expressway. Lagos State Emergency Management Agency (LASEMA) and other rescue units are present at the scene.